Leading Manufacturer of geared lathe machine and automatic geared lathe machine from Rajkot. We are instrumental in providing our clients a complete range of All Geared Lathe Machine. This lathe machine is manufactured using supreme class components in compliance with international standards at our well equipped manufacturing base. The offered range is available in different specifications to meet the exact needs of the clients. To ensure eminence and flawlessness, our offered product is rigorously tested on various defined parameters. 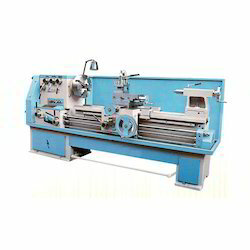 We offer this lathe machine at market leading prices. We are instrumental in providing our clients a complete range of AutomaticGeared Lathe Machine. 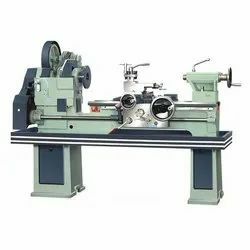 This lathe machine is manufactured using supreme class components in compliance with international standards at our well equipped manufacturing base. The offered range is available in different specifications to meet the exact needs of the clients. To ensure eminence and flawlessness, our offered product is rigorously tested on various defined parameters. We offer this lathe machine at market leading prices. Looking for Geared Lathe Machines ?